Each year. the City of Fulton’s Historic Preservation Commission seeks new homes to be part of its Historic Property Designation. The window to apply for a historic property is between March 1 and April 30. In order to qualify, a property must meet the following requirements which be found in Section 62-31 of the City of Fulton Codes. Sec. 62–31. – Identification of historic properties; identification of, and addition to, historic districts; and designation of properties earning the title “A Fulton Preservation Property”. (a) Powers of identification and designation. 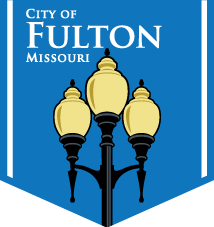 The city council, by formal ordinance and upon the completion of the following process may identify properties as city historic properties and/or for inclusion into an historic district: Identification of city historic districts and historic properties and designation of properties earning the title “A Fulton Preservation Property” does not require either federal or state historic register certification. (b) “Fulton Historic Property” identification. j. Its suitability for preservation or restoration.